When learning about ways to insure a business, one must learn about commercial insurance. Commercial insurance is designed to provide protection for your business, no matter how big or how small, so that a damage claim or injury lawsuit does not result in bankruptcy. Not only does a comprehensive insurance portfolio provide you with protection, it also gives you the peace of mind to put your all into your business every day. Here are just some of the many ways that you can insure your business so that you can pass the risk on to the insurer in exchange for annual premiums. One of the most common plans that business owners of a small or mid-sized company will purchase is called a Business Owners Package policy or BOP. 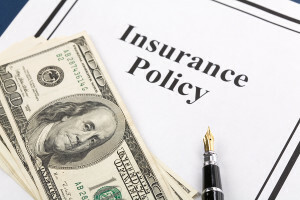 A BOP is a packaged policy that includes all of the most common forms of coverage that businesses need in a single package for a single premium. This type of policy will provide protection for buildings, rental additions, business property, inventory, product liability, general liability and business interruption. If you must file a claim for damage, injury or a product liability lawsuit, you have peace of mind that there are not serious gaps in coverage. Personal automobile policies generally exclude coverage when you are using your vehicles for commercial purposes. While some businesses can carry personal coverage with a business usage endorsement, a majority of businesses need to purchase commercial auto insurance with higher limits. Check with your agent to discuss your options for auto insurance. If you must possess federal filings or your vehicle is registered in the name of your corporation, you should be carrying special business insurance. Every state has unique laws when it comes to Worker’s Compensation requirements. It is important to know when you are required to carry worker’s compensation, so that you can avoid lawsuits and being fined by the state. Worker’s compensation insurance will cover your employees if they are injured while they are working. These statutory obligations are designed to protect workers, but also to protect your business from lawsuits filed by injured employees. Be sure to check the requirements of your state, and start obtaining quotes based on your payroll, according to Entrepreneur Magazine. What would happen if a key employee or a partner in your business passed away? Do you have a plan in place so that you can keep operating the business while you look for a replacement? Key person life insurance is very important for business owners to ensure business continuity. By purchasing the right life insurance plan, you can eliminate the headaches and keep your operations going during a difficult time. There is a myriad of ways that you can insurance your business to pass risks on to multi-billion dollar insurers. For pennies on the dollar, you can purchase building coverage, property insurance and liability insurance so that the most common types of perils are covered. Ask your agent the question, “What are the best ways to insurance my business?”, and start building a robust insurance portfolio that will give you piece of mind.